CT (computerised tomography) uses X-rays which pass through your body to create lots of ‘thin slice’ images of the part of the body that is scanned. These images are taken by the radiographer (specialist imaging technician) who then processes and reconstructs the thin slices into meaningful, detailed images including 3-D imaging, for the radiologist (specialist doctor trained in imaging) to then review and produce a diagnostic report which is then sent back to the referring doctor to help arrange a suitable treatment plan for the patient. You will be asked to lie on bed that passes into the CT scanner which looks like a circle (often nicknamed as the ‘donut’), which rotate around whichever section of your body is being scanned as you pass slowly through the scanner. You will need to lie very still to prevent the images from blurring. A CT scanner does not surround your whole body like an MRI scanner so it is less claustrophobic. The radiographer (specialist technician who takes the images) will sit in an adjacent room but will be able to hear and speak to you throughout. You may be asked to hold your breath or breathe in or out during the scan. After positioning for the scan, it takes minutes to complete the CT scan depending on the body regions being scanned. There is little preparation required for CT imaging in musculoskeletal applications. You may be administered with a special dye into a joint prior to scanning to help look for any pathology inside the joint. If so, it is advisable not to drive or operate any heavy machinery to enable you to recover safely. Sometimes, an injection of dye goes into your veins, to outline certain structures better via a cannula (small plastic tube inserted into your arm or hand), dependent on the clinical history and scan requested by your referring doctor. During a CT scan, a narrow beam of X-rays pass through the part of the body that is imaged in thin slices which are then reproduced and processed into detail imaging of the inside of your body including 3-D images. The X-rays produced are called tomographic images and they contain more detailed information than conventional X-rays. 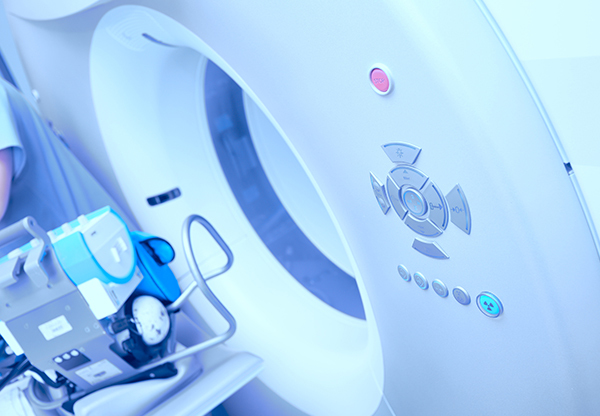 CT scans are usually a fast and accurate way of reaching a diagnosis dependent on the clinical question and symptoms, as there are many types of CT imaging that can be performed for different parts of the body and some might not be appropriate for CT imaging. Like X-rays, CT also involves the exposure to low dose radiation and this can vary according to which part of your body is being scanned. Some parts are more sensitive to others and there can be a small risk of developing cancer later in life. The perceived risks of this tend to be out-weighed by the clinical benefits of reaching a diagnosis for your symptoms. CT scanning in pregnant mothers tend to be avoided unless absolutely necessary to save radiation dose for the mother and unborn child, unless there is an emergency. There is also a small risk of an allergic reaction to a contrast dye that may be used, however, most of the time in musculoskeletal imaging, the dye will not be needed. Allergic reactions to the dye can be immediate or slightly delayed but may include difficult in breathing, swollen tongue and lips, wheezing, itching, nausea or vomiting, rash. If these symptoms are present, then you you should tell the radiographers immediately after the scan or you are advised to seek emergency medical attention if you have left the clinic or hospital.